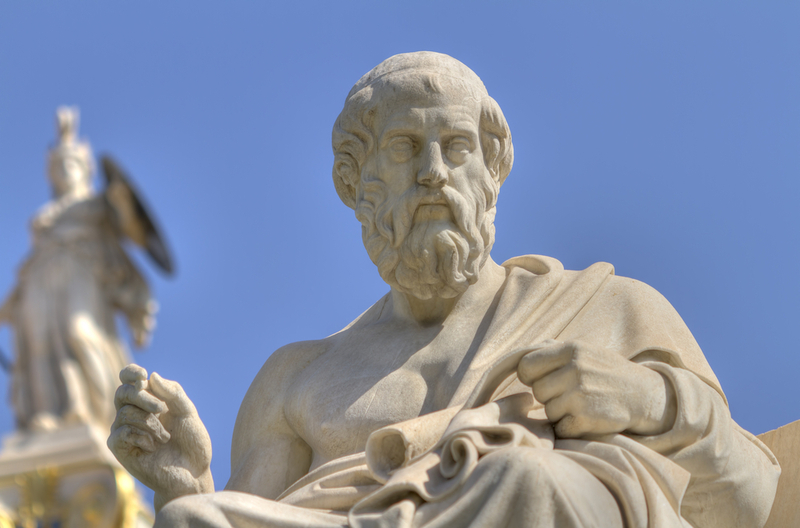 In Plato’s great dialogue Symposium, the Greek philosopher was famed to have made the statement that led to the coined phrase “Beauty is in the eye of the beholder.” This ancient nugget of wisdom is just as true today and applies not just to life lessons on the playground but to the world of economics as well. Value is the eye of the consumer, as Plato might say in 2012, and in this age of social media-driven consumer empowerment, companies have a great opportunity to regain an advantage by recasting their value proposition in a way that the value of their product or service is supreme in the eyes of their beholders. An easy tool – The Value Compass – can help companies of any size reconsider and refine how and what they are proposing to prospective consumers. Most business people not living under a rock for the last 15 years know that many of the traditional sources of competitive advantage are fading away. Pricing advantages dissolve quickly when consumers are comparing and contrasting alternatives with apps such asRedLaser or Price Check by Amazon. Distribution advantages fade when multiple manufacturers distribute products through multiple channels, making any one advantage inherent in one distribution channel vulnerable to the others. Promotional advantages are swallowed up in the ubiquitous use of promotions through Groupon or Living Social or sites like Retail Me Not, which consolidate and advertise which companies are offering which discounts. Even research and development (R&D) advantages fade when the smallest of firms that do not have large R&D budgets can harness the power of collaborative feedback and enroll customers into the product development process and hence earn great returns on limited R&D funds. This vignette on YouTube (see below) illustrates what some of he best companies are doing to revamp their use of R&D funds. While it’s true that many sources of competitive advantage do remain, such as some of the classic elements of advantage outlined in Michael Porter’s famous tomes Competitive Strategy and Competitive Advantage, many have weakened or faded away entirely, forcing smart companies to rethink how they deliver value to their end-user consumers. A great tool for recasting a company’s value proposition is The Value Compass, innovated in 1997 by Ernest & Young’s Robert Wayland and Paul Cole. The Value Compass encourages executives to revisit how they are delivering value to customers. After all, customers are the company’s only sustainable source of shareholder value. The Value Compass uses four directionals on a compass as the means for reconsidering the nature of the value that makes up a company’s relationship with its consumers. The first directional poses the question, “At what level does the company choose to interact with its consumers?” Does the company view its market as the sum of all consumers, as legend suggests Ray Kroc did when the McDonald’s founder declared his market to be “anyone with a stomach.” And, does the company therefore organize accordingly with the view that the market is one single cohort of customers? Or, does the company view its market as a number of segments, and organize internally to interact with and service these segments based on product, need and preference? Or, does the company organize around and interact with individual consumers in a true, one-on-one fashion as espoused by the greatDon Peppers and Martha Rogers? New sources of value and therefore advantage are inherent in the nature of the interaction between the company, its product and its customers’ lives. The second directional is stated thusly: “What is the depth of the value proposition?” Does the company in question merely supply one product and is therefore only a part of an overall solution? Or, does it supply a full solution? Customers are always seeking complete solutions to life’s problems, and they seek to find that solution by either buying it through one source or buying all the requisite parts through multiple suppliers. If assembly is required on the part of the customer, an opportunity presents itself to the company. The company can endear itself to its customers by solving more of the problem and thereby take the effort required to solve the problem off the plate of the consumer. The third directional poses, “What is the value-added role of the company?” Does the company merely supply part or all of the solution as stated above, or does the company own a portion of the function required to fully solve the problem? It’s one thing for UPS to offer to ship your package from Point A to Point B; it is another for UPS to take on the role of logistics manger and manage the entire logistics function on your behalf. UPS illustrates their willingness to take on this role through its well known We Love Logistics campaign. Companies can evaluate their nature of the product, their customers’ end objective, and offer to add value by taking on a burdensome role that customers would prefer not to worry about. The fourth and final directional posits the following: “To what degree do you share in the risk and rewards of the relationship?” If a company merely drops off a product and wishes the customer best of luck, the company is taking a limited role in risk and reward sharing. Its risk is limited to the degree to which it warrants the product. Alternatively, the company can engage the consumer by inviting him or her in and enabling him or her to participate in the creation and piloting of a product. This participation involves the consumer in the inherent risk of trial and error, but offers the rewards of improved utility and perhaps lower costs that are offered an incentive to participate. For example, large truck manufacturers such as Freightliner and Volvo Trucks invite many of the largest transportation carriers (their customers) to play an active role in the initial specifications for product updates and launches, involving them in the design, production and fine-tuning of products throughout the entire manufacturing process, all the way to the end where new trucks are rolling off an assembly line. New sources of value and therefore advantage can be found in each one of these steps, especially when viewed holistically and when guided by objective third parties who have deep exposure to how these strategy reviews can avoid roadblocks and produce genuine insight. After 2300 years, Plato was right: Value is in the eye of the Beholder, and retooling your products, services and organization to deliver what your consumers value will help you regain the competitive advantage lost in the 21st Century’s deluge of information.